matsuli music: Three by two at once! Huh? Three by two at once! Huh? Vampisoul releases 3 LP retrospective sets from two African legends at once! It must be Christmas. More details and notes at their site. Complete 70s anthology of the drummer and music director of african superstar FELA KUTI's band AFRICA 70, from 1968 until 1979, the creators of a new style called "Afrobeat" one of the (if not THE) hipest rhythmic music styles of the 70s. 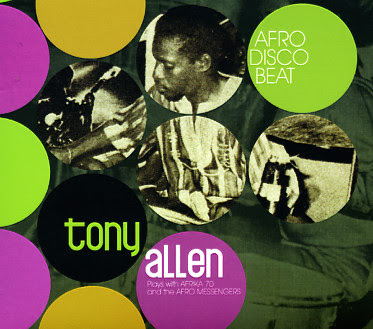 This monster pack includes Tony´s first four solo albums: Jealousy (´75), Progress (´76), No Accomodation for Lagos (´78), and No Discrimination (´79). The first three produced by Fela Kuti himself and with Africa 70, the last one with Tony´s band The Afro Messengers. Complete extensive liner notes inside. One of the most innovative and pioneering musicians of his time, Orlando Julius made an amazing difference to the Nigerian music between the sixties and the seventies. 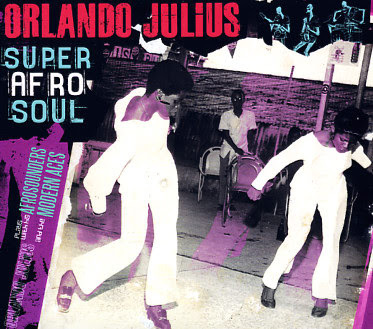 Our double CD pack includes "SUPER AFRO SOUL" with Orlando Julius & his Modern Aces, and "ORLANDO’S AFRO IDEAS 1969-72" by Orlando Julius & his Afro Sounders. A mind blowing mix of nigerian highlife style with jazz, soul, and funk. No...this is one of those situations where you take the cash out of your pocket and support the label and artist. interesting... the Orlando Julius material was previously reissued by Strut and Soundway, wasn't it?